Nobody wants to need a tow. In fact, it’s one of the most irritating situations to find yourself in, especially if you’re in a hurry. But life happens, and when it does, Budget Towing Hampton will be there for you. 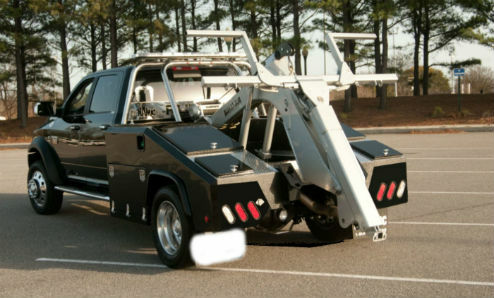 Adding to that irritation – in many cases – is the astronomical bill you receive after your tow. With us, you’ll never experience that particular type of buyers’ remorse – our services are reasonable and affordable. Having your car disabled is hard enough – we don’t believe in gouging you for our help! Keep our number handy and give us a call the next time you need a tow. 727-690-9240 – you’ll reach an experienced and knowledgeable team of professionals without the sky-high price tag! ​Requiring a tow in the middle of the day is hassle enough. If stranded in the middle of the night, however, you know that it’s much, much worse. Not only can it be very dangerous, but it can be difficult to find a towing company which is open for business. With our 24-hour service, you’ll never have to worry about a wee-hours tow again. For convenience, store our number in your phone, or write it down and keep it in your vehicle. We know you’ll love the security and peace of mind which comes from knowing that you can reach us at any hour for reliable assistance. Have you ever been stranded by the side of the road, staring at your disabled car and cursing the tow company which is now – check your watch – over an hour late? So have we, and we understand just how frustrating it can be. Not only that, but if you’re stranded in a dangerous or desolate area, it can be downright frightening. At Budget Towing Hampton, we want our customers to receive the best possible service, and part of that is speed. We dispatch 24 hours a day, getting a skilled driver to you as quickly as humanly possible. Reach us at 727-690-9240. At Budget Towing Hampton, we take customer service seriously, and we pride ourselves on our stellar track record when it comes to satisfied clients. We go above and beyond to ensure that – even though we’re a budget service – our customers receive the highest level of service. Ask around – chances are good that you know somebody who’s used our services, and we trust that they were 100% satisfied with their experience. We do all we can to ensure a positive experience, even though needing a tow is a rather negative thing. We’re here to help, and A+ service is just one of the many ways we strive to offer the best help available. Have you ever called a towing company and reached somebody who doesn’t seem very helpful? Perhaps it’s the middle of the night and they’re tired. Maybe they really don’t like their job and take it out on customers. 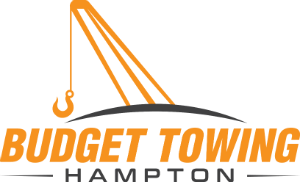 At Budget Towing Hampton, we understand that customer service begins the minute we answer your call and work to provide the best experience possible. As soon as you dial 727-690-9240, a live dispatcher will answer who knows the area and has access to some of the most experienced drivers around. We treat our customers with kindness and respect in addition to being on your way to a skilled and speedy tow. All of us have experienced, at some point in our lives, a tow that was less than optimal. Sometimes, this results from the tow truck itself. Our tow trucks function at its best because they are well maintained. In addition, tow trucks are working vehicles, which means more to support. These vehicles are responsible for the safe rescue and transport of others’ vehicles, adding to the importance of keeping them in tip-top condition. At Budget Towing Hampton, we understand this fully and keep our entire fleet of trucks in the best shape possible. You won’t find a rickety, ancient truck rolling up to tow your car – you’ll see a well-maintained machine ready to rescue your vehicle and tow it to safety. Call 727-690-9240 and see the difference for yourself! Just about anybody can learn to tow a car. However, there’s a massive difference between knowing the bare-bones basics and putting in the time and effort to obtain your license and build up experience. Towing is a very hands-on business, and no two jobs are the same. Think about it – pulling a huge SUV out of a ditch in the middle of the night is very different than getting a wrecked economy car out of traffic during rush hour. Our licensed and experienced drivers have seen just about any towing situation you can imagine, so they know precisely the best approach for each towing job. Next time you find yourself in need of a tow, give us a call and see for yourself – we know it will be the smoothest and most reliable towing experience you’ve ever had. Tows are a widespread occurrence on military bases. Sometimes, an emergency, a deployment or a sudden issuance of orders causes a vehicle to be left behind. Although these cars’ don’t intentionally abandon their vehicles, they can’t just sit there. We get loads of these calls at Budget Towing Hampton and know how to deal with these “possibly abandoned” vehicles quickly and professionally. We will store the car for a set period, to avoid the irritation of a military service member returning home to find their car gone missing. Keep our number on hand – 727-690-9240 – and never worry about who to call about that car you think may have been abandoned. One of the single most frustrating parts of driving is poor road maintenance. 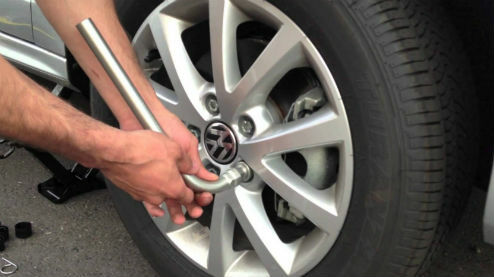 You’ve probably driven over thousands of potholes in your life, from small, mildly annoying ones to huge ones which threaten to damage your vehicle severely. 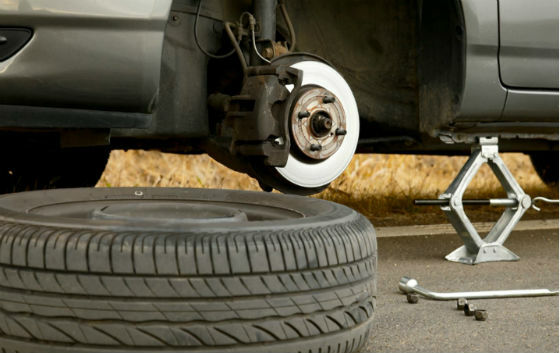 Unfortunately, potholes are a part of life, and if you should find your car damaged from hitting one, Budget Towing Hampton will quickly become your new best friend. We are experienced in this particular type of car rescue and will arrive swiftly to assist. The damage done by potholes can be severe. Sometimes your car will still be able to move, but not without making a disturbing noise or otherwise acting strangely. In these cases, it’s better to be safe than sorry – trying to drive with severe damage can hurt your car, even more, resulting in larger repair bills or – even worse – a complete breakdown in the middle of traffic. Keep 727-690-9240 in your phone, or written down on a piece of paper in your car. This way, you’ll always have quick access to the best trucks, the most experienced drivers, the best customer service and so much more, 24 hours a day! Nobody looks forward to needing a tow, but we believe that our dedication to quality and customer service can truely take some of the sting out of an already-frustrating situation.